I slapped on the foundation, a bit of shadow and the standard basics of mascara and eyeliner before I got to the cheeks. 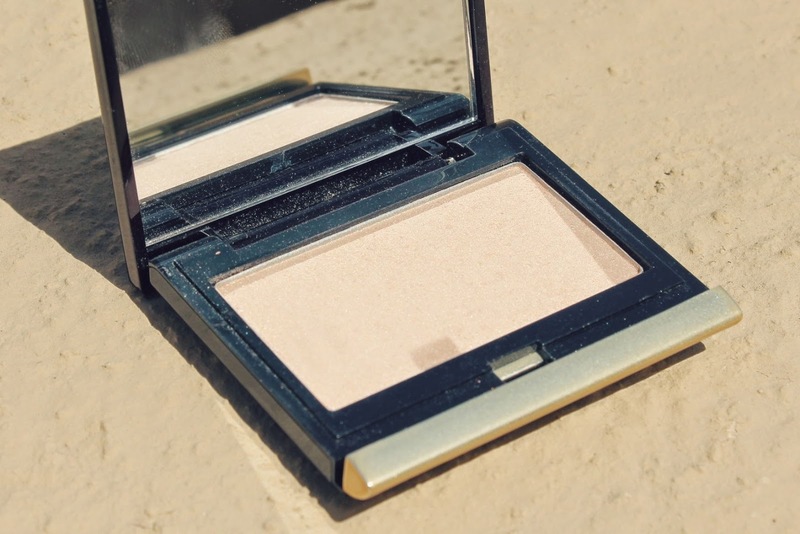 On went Tom Ford Frantic Pink and chasing that was Kevyn Aucoin's Celestial Powder in Candlelight. a) This is friggin tiny. It looks like it should be an eyeshadow. b) Okay, so it's wee but the warm pale gold tone and fine texture make up for it. It's very pretty and all that but the problem with highlighters is that once you've seen one, you've seen them all. It is very hard to discern one brand from the other, objectively review them and even capture the difference in a photograph. a) It's a very fine finish. This is the kind of highlighter you could slap on during the day and not worry about. Pores won't be magnified but the high points of your face that you want to "pop" will be. b) It gives good shine. Some highlighters can make you look like a grease ball. Admittedly I have a heavy hand so it's probably more my lacklustre application than the product itself but I feel like this is a foolproof choice because the veil of glow that it gives is subtle and beautiful! I would recommend it BUT if I am totally honest, you could probably get by with a shadow like MAC Nylon and it wouldn't be totally dissimilar. Okay, Kevyn Aucoin's has more of a warm undertone to it but once blended on the face I don't think even the most fervent makeup collector could tell the difference! 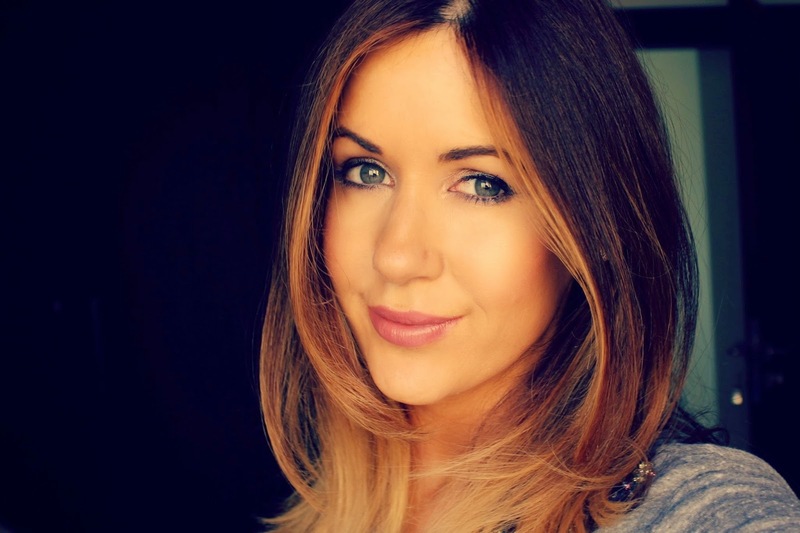 Foundation: Tom Ford Traceless foundation in Natural with Laura Mercier Mineral Powder in Classic Beige over the top. 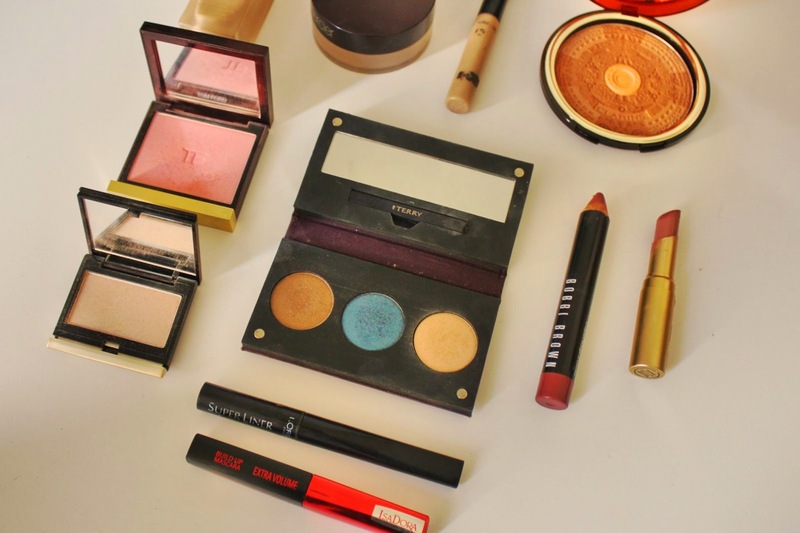 I also added a bit of the Clarins Splendour bronzer over the top. More the merrier! Concealer: Collections 2000 Lasting Perfection...just incredible. Still. Eyeshadow: A By Terry trio that I cannot find anywhere and have no idea what it's called! I mainly used the light shade and the brown for a light wash.
And because there is no other place to put it, I want to show off my new silver flats. Simone got these for me and they are perfect. 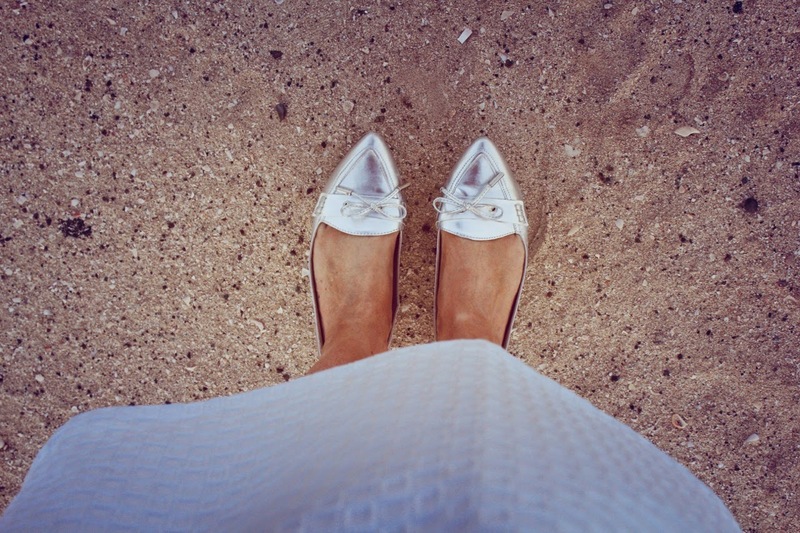 Comfortable, pointed toe and well, silver! They are from ASOS and are currently reduced from £40 to £25 - bargain :) Link! 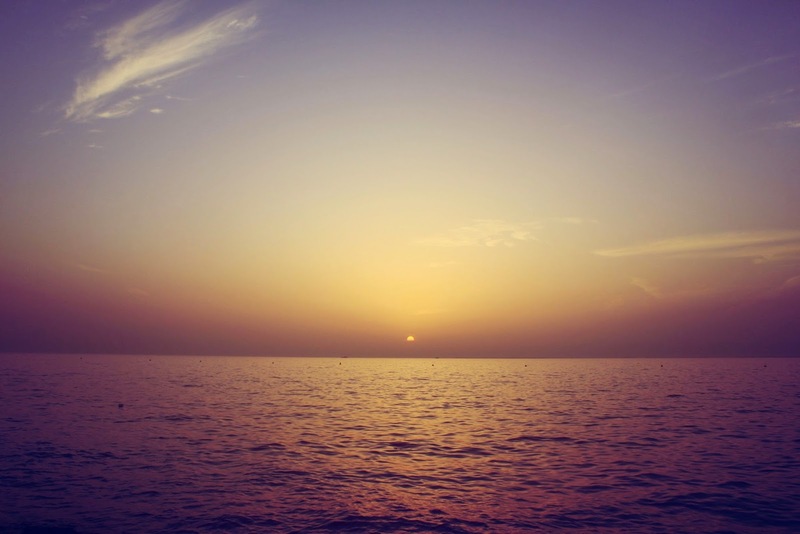 also love love love that sunset photo! Love those silver shoes!! So cute and perfect for more relaxed occasions. THAT SUNSET! Love the lip pencil on you, must really check that out. 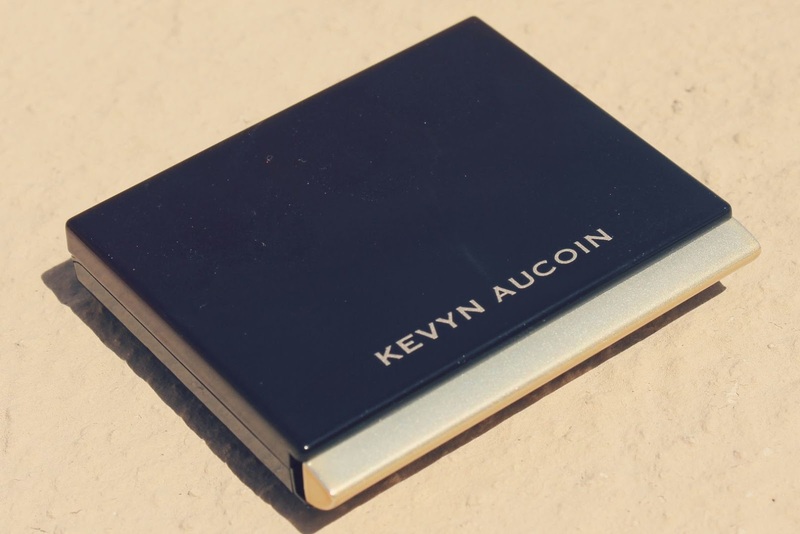 Why has Kevyn Aucoin gone miniature?! I've noticed they've changed all their packaging, I think I preferred the old packaging! Great look though Laura :) oh and I've just bagged the shoes - oops! such a lovely lip combination! I absolutely love sunsets, too, especially by the water. It makes me miss home. 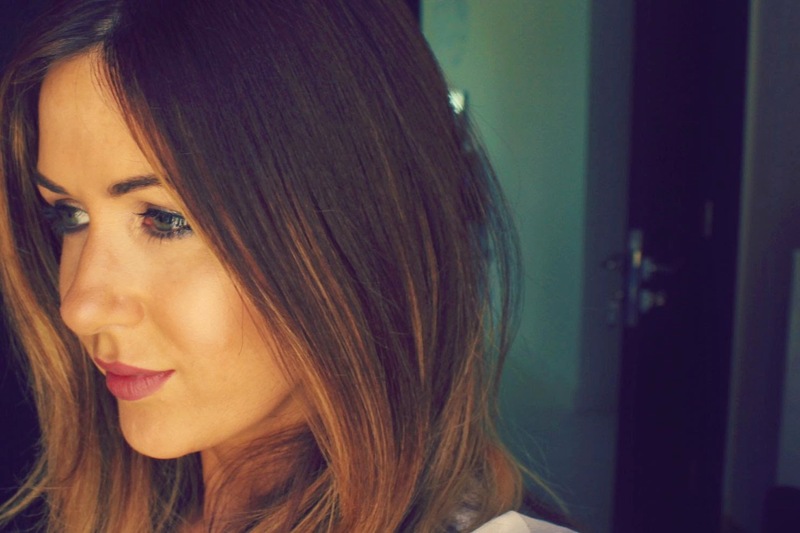 I luuuurrve your lip colour today Laura. And more silver cuteness! I'm still loving my ASOS spring breaks after you twisted my arm to buy them!!!! You look absolutely beautiful, lovely post. You're so gorgeous! I love your makeup, and wow, the sunset looks beautiful! Your makeup looks absolutely amazing!! Such a nice look!! Gorgeous! Sometimes highlighters are too shiny and don't blend well, like you can see exactly where it was applied, but this one blends beautifully. Great makeup and nice shoes! Have a nice weekend. I love that you said that about the celestial powder - all I ever see are reviews that claim it to be the next Jesus and I was wondering why!! Glad you cleared it up a bit. Gorgeous as per usual, you're shoes are lovely. Are those ASOS shoes comfy? I often find pointed toed flats too uncomfortable to wear for more tha a few hours. Especially when they're cheapish as they're usually PVC not leather and they don't soften. I like this highlighter too and not to encourage you to add to your highlighter collection, but.... you should definitely try the Laura Mercier baked highlighter 01. It is HUGE, has a similar finish but - dare I say it? - more finely milled luminosity. Love your blog! I’m really impressed together with your writing skills as well as with the layout for your weblog. Anyway keep up the excellent quality writing, I also have information about the best new residential project Silverglades Towers in Gurgaon.